In a 17-minute black-and-white film made in 1954 and now held by the Imperial War Museum in London, a group of wiry fishermen run their boat ashore on an unidentified beach somewhere along the Gulf coast of the Trucial States. Their small dhow is powered by a traditional lateen sail. The fish they land have been caught in hand-woven nets. Sixty-five years ago, when the film “These Are the Trucial States” was made, the Gulf teemed with fish, a rare natural bounty for a desert people whose lives were harsh and precarious. The discovery of oil transformed the economies of the Gulf states, relieving them of immediate dependence upon the fisheries that had sustained life for millennia. Excavation last year of bones on the site of an 8,000-year-old village on Al Marawah island in Abu Dhabi revealed a Stone Age diet rich in fish, dugong, dolphin and sea turtle. Today, with some of the fastest growing economies and populations in the world, fish are once again of growing importance to all the nations of the Gulf Cooperation Council. Lacking sufficient fresh water and suitable soil to support significant agriculture and livestock farming, they are reliant on expensive imports for almost all of their food. Fish from the Gulf represent the only large-scale domestic source of nutrition. But now, thanks to a combination of over-fishing, lax fisheries management and rampant coastal development, that unique resource is in grave danger of being squandered. In June last year a study by the University of British Columbia in Canada predicted that “multiple human stressors” would lead to the extinction of one third of all marine species in the Gulf by 2090. Most at risk were fish in the waters off Saudi Arabia, Qatar and the United Arab Emirates. To blame were the “synergistic effects” of climate change, which will see water temperatures rise and oxygen levels fall, coastal development leading to the destruction of many breeding grounds such as mangroves, overfishing and desalination. The number of desalination plants in the Gulf is escalating rapidly as states struggle to meet a demand for water increasing at a rate of up to 11 percent every year. In the process they are pumping out ever greater amounts of brine, raising salt concentrations in the sea to levels in which many fish will not be able to survive. If any remain, that is. A study published last month by Abu Dhabi’s environment agency reached the shocking conclusion that more than more than 85 percent of the three most commonly eaten species in the Gulf have been wiped out by overfishing and are facing extinction. There have been dramatic drops in the populations of 200 species and some have already disappeared. The UAE is aware of the problem. But although laws have been passed to ban fishing during breeding seasons and to limit the sizes of nets to allow young fish to mature to breeding age, attempts to educate fishermen to think sustainably appear to have had little impact – unannounced inspections last year found that 70 percent of nets being used were still illegal. And the UAE isn’t the only country fishing in the Gulf. 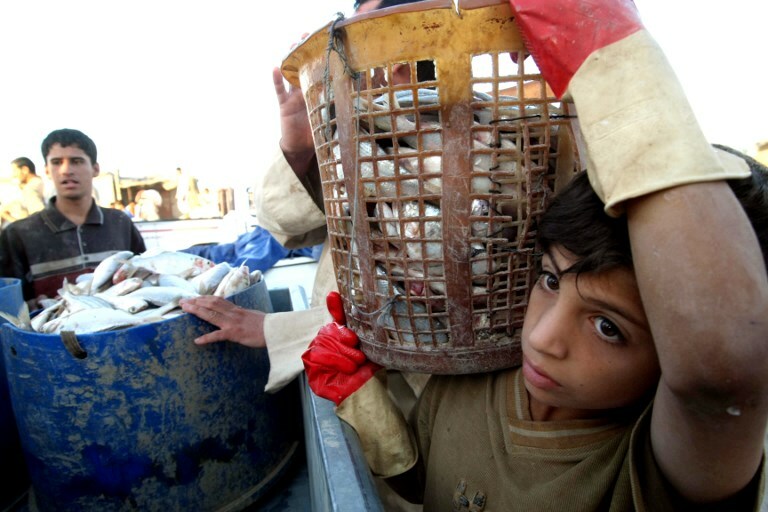 GCC stock management agreements exist, but heavy overfishing persists and plans to step up fish production sixfold in Saudi Arabia – the GCC nation with the largest population and the biggest food-security issue – can only exacerbate matters. The fish crisis is a symptom of a wider problem – the runaway growth of Gulf states that are blessed with neither fresh water nor food supplies, fast-tracked into existence by the discovery of oil. Before the oil, a harsh form of balanced self-sufficiency was practiced along the shores of the Gulf. Goats, camel milk, dates, brackish well water and, of course, plentiful fish, meant that there was just enough to support a small, itinerant population whose growth was naturally restricted by the scarcity of the available resources. In the process they are in danger of destroying the fish stocks that supported life on the shores of the Gulf throughout history and which, ironically, are once again becoming an ever more important source of food. It is clear that all aspects of this multifaceted problem must be considered together, and by all parties working together – unlikely, given the tensions between Iran and the rest of the Gulf states. Today’s inhabitants of the region could learn much about sustainability from the fishermen frozen in time on an old black-and-white film, and their long-ago forebears who lived their lives in harmony with the environment and the limited riches it offered.